In 2004, I wrote a novel that was very different from anything I had done before. A story about Colombian child assassins, Boy Kills Man paid no heed to happy endings. I didn't see why I should sugar a very real, raw and shocking reality for kids caught up in gang culture. My editor, who was expecting a follow up to a teen comedy about skateboarding, took a deep breath and got behind it. Close to publication, a report that an early reader of the book had been left traumatised made the pages of the Times Educational Supplement. This was mostly because I'd been quoted as saying that I was pleased. I felt it was better that the book provoked a reaction rather than be forgotten, and also served as a springboard for a conversation about violence and its impact on young people. Despite a slightly scary start - I worried it would be pulled - the book went on to be shortlisted for the BookTrust Teenage Book Award, and featured on various picks of the year. I remain very proud of this book. A film is in development and readers still get in touch with questions and comments. 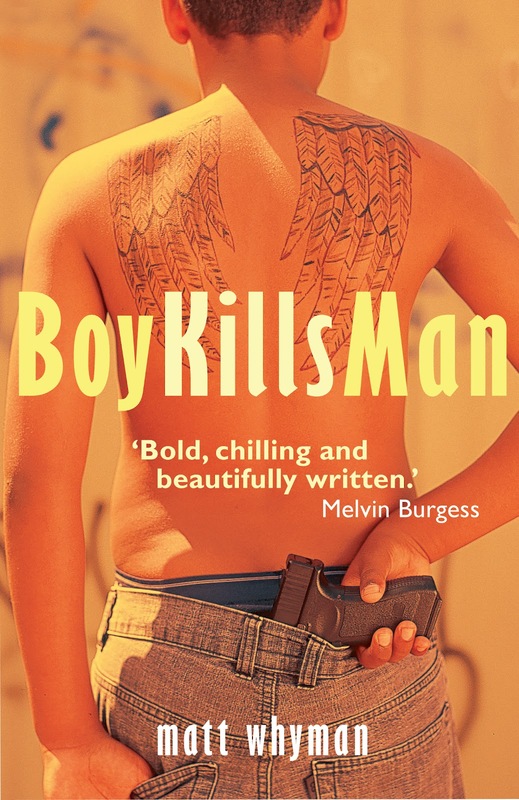 Now, eight years after first publication, Boy Kills Man is available as an ebook. It's released on March 19th at £3.99, and downloadable from all the usual outlets.